Firefox now has IM capabilities. 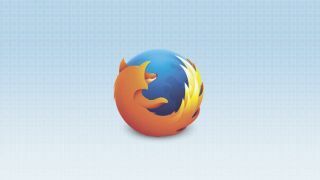 The latest update for Firefox for desktops, version 41, comes with an integrated instant messenger based around Firefox Hello, the video calling technology it unveiled last year. "Firefox Hello Beta, developed with our partner Telefónica, is the global communications system built directly into a browser and it will now let you send and receive instant messages when you're in a video call in Firefox for Windows, Mac and Linux," explains Mozilla. The new feature is launched in the same way as the existing Hello video calling functionality: just click on the smiley face speech bubble emoticon on the toolbar. The difference is you can now type out your communications at the same time as making video calls. As before, you can sign up for a Hello account, but you don't have to - you can just chat anonymously with someone else by sharing a link with them. As long as they're using Firefox, you're good to go. Support for Firefox on Android is apparently coming soon. Also new is the ability to set a profile photo through the desktop browser so your contacts get a better idea of who they're communicating with. A bunch of minor updates and bug fixes are included too. If you want to try out Firefox's new IM capabilities, the update should roll out automatically - if you don't already have the browser installed or you're just impatient, you can also download it directly from the Mozilla website.